Leiweke, whose older brother Tim helped found OVG with music industry giant Irving Azoff, resigned from his post as NFL chief operating officer. Tod Leiweke had been the No. 2 ranking executive behind commissioner Roger Goodell and at one point was touted as his successor. 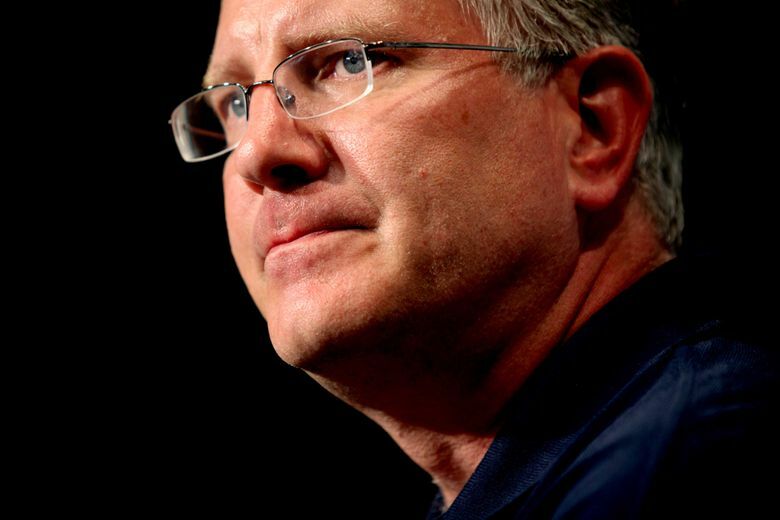 Former Seahawks chief executive officer Tod Leiweke is expected to join the Oak View Group in a top executive position to help run its anticipated NHL franchise in Seattle. Leiweke, whose older brother Tim helped found OVG with music-industry giant Irving Azoff, resigned Tuesday from his post as chief operating officer of the NFL. Tod Leiweke had been the No. 2-ranking executive behind commissioner Roger Goodell and at one point was touted as his successor. But Goodell recently agreed to a five-year contract extension, making Leiweke’s avenue in the league uncertain. Tim Leiweke told The Seattle Times two weeks ago it was his top priority to name a “president of the organization — team slash arena’’ before NHL season-ticket prices are released in April or May. In an interview in October, Tod Leiweke was coy when asked about potentially joining his brother and OVG to help run its sports operations. He laughed and tried to downplay the idea. “I think we love each other too much,” he said. But he also had downplayed the idea of leaving his job as CEO of the NHL Tampa Bay Lightning to join a Bellevue arena initiative being run by his friend, Jac Sperling. That potential arena deal fell apart in July 2015, and Leiweke promptly resigned from the Lightning a few days later to take the NFL job. Both Leiweke brothers did not immediately return messages Tuesday seeking comment. The NHL has yet to award Seattle an expansion team expected to play at a remodeled KeyArena starting in October 2020. But that move is expected to come at a league board of governors meeting in June. OVG and would-be hockey owners David Bonderman and Jerry Bruckheimer both recently launched a highly successful season-ticket initiative that attracted 33,000 deposits of $500 and $1,000 within two days.